In the past week, one of Asia's largest publications, the South China Morning Post (SCMP), posted an article about "Chinese [facial recognition] technology" (i.e. Hikvision) being used by the NY city police department. The problem is - the story is false. Nonetheless, the story has gained international attention, both as a sign of Chinese technological superiority and, less favorably for Hikvision, Chinese infiltration of the United State's 'biggest city'. SCMP has grossly misread a 5-year-old Hikvision case study, conflating a budget (non-AI / non-facial recognition) video surveillance system used by a low-income housing project that the NYPD was allowed to view with some form of advanced, cutting edge AI. Indeed, it would not make any sense since Hikvision was not even claiming to offer "AI software' in 2014. And to the contrary of 'Sky Net cameras', the Hikvision case study specifically lists the cameras used - "DS-2CD7133-E Mini Dome Camera and the DS-2CD2012 IR Mini Bullet Camera" which are budget cameras, even for 2014 standards. Indeed, if this is what 'Sky Net' is or was using (even in 2014), it would be alarmingly and embarrassingly inferior to Western government standards. Recently a young man who was wanted by the police came onto the River Park property but fled before the police could respond. His image was captured on camera and stored in the IP video surveillance system. One week later, the in-house security team saw him re-enter the property, called the police and used the cameras to track the suspect through the lobby, into the elevator and up to a unit on the fourteenth floor. What Hikvision claims here is totally reasonable and normal use of actual surveillance technology. The story is based on a Chinese document dated last month, not the old Security Today article. It mentioned NYPD twice as a 'major project' with 'large scale application' of Hikvision technology. To the contrary, the SCMP story, as we noted above, clearly cites Hikvision's website and Security Today. Moreover, while there is most certainly some 'Chinese document dated last month', the accuracy of it, specifically to the core claim of AI and facial recognition, is highly questionable. SCMP did not disclose the document nor any corroborating sources. We requested a copy of the 'Chinese document' but SCMP did not respond. 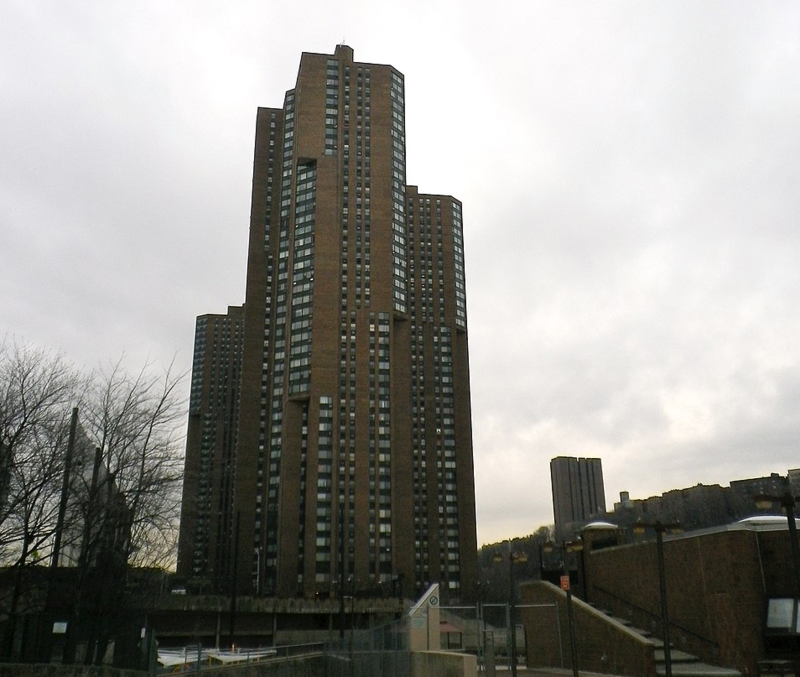 Unlike the NYPD's own cameras, NYC public housing tends to have limited funding and therefore prefer low-cost products. To that end, picking Hikvision is understandable. This is a multi-tentant residential application and Hikvision USA has offered low-cost with local sales, local support, and reasonable quality. One dynamic that the SCMP missed is that Genetec's software is a core component of NYPD's video surveillance. This is especially notable and ironic since Genetec's 2016 expelling of Hikvision and declaring Hikvision to be a security risk has hurt Hikvision's reputation and commercial prospects in the US, especially in places like NYC where Genetec has a strong presence. After IPVM's test of Hikvision's DeepInMind AI recorder found significant problems, the company pulled the product from the US (or declared the for-sale product as a prototype) and has yet to release / re-release it nearly a year later (Hikvision tells IPVM new firmware for the unit is coming soon). Hikvision USA completely omitted AI from its Fall 2018 ASIS show marketing, a stark turarnound for a company who had been leading with that marketing in the year prior. Hikvision's President, inside China, downplayed AI in a major interview in Fall 2018, emphasizing that "AI is not a panacea" and that “It’s very difficult [for AI to change the landscape of the security market.]”. We doubt Hikvision benefits nor wanted this type of attention, even if the claims made by the SCMP had not been false. Over the past 6 months, Hikvision has kept a low public profile, preferring direct government lobbying over public displays. While large corporations regularly do pitch publications stories favorable to their interest, it would make little sense to pick a 5-year-old case study as the basis of a defense or promotion of Hikvision's USA operations. However, to the extent this becomes an issue in the US, it could be negative for Hikvision, as Hikvision has been removed from numerous US locations, is subject to a US government ban that starts in 7 months, and risks sanctions for its profits from the Xinjiang concentration camps. One element that might mitigate fallout is that, while the SCMP is a well-read globally, it is not particularly well read inside of the US. "American choice speaks volumes about Chinese goodness." "When China's facial recognition program was unveiled, everyone accused it of being ''fascist''. Now the US is following China's lead in its usual hypocritical way. LMCAO." "America having to resort to using Chinese technology?" The SCMP article has already fed into China nationalistic perceptions. Despite the story being false, the SCMP is so large that it will be widely believed in circles where the SCMP is well read. What happens beyond that is unclear. For example, if the American ACLU picks this up, they might attack Hikvision for (in this case not actually) using facial recognition to persecute minorities in housing projects. Indeed, Hikvision covered up its own minority analytics software in China in 2018. Also, US mainstream publications could pick up on this and it could engender more negativity and pressure to remove Hikvision products from US installations. However, in the greater scheme of things, this is a minor event, though underscoring issues in reporting and false, if not 'fake' news.